In the 1700s the areas native Pottawatomi Indians named the Nippersink Creek, which runs through Spring Grove, “Neversink”, which translates to “place of small waters”. In 1834, as the result of a treaty signed with our government, the Potawatomi and other Indian tribes were removed from the area, although friendly wandering bands still occasionally appeared. Related accounts of these Indians include those of an early settler, Jonathan Imeson, who was said to have hidden his bed from curious Indians who had never seen one before. Spring Grove was named for the natural springs and groves of trees in the area. Tall flowing prairie grasses reminded the first English settlers of their homeland and they named the area they settled English Prairie. English Prairie Cemetery, road and subdivision remind us of these first adventurous pioneers. Spring Grove was initially established as an agricultural community in the late 1830s. The first vertical silo constructed in North America was built in 1873 by Fred Hatch on a small farm located in Spring Grove. This new way of storing silage for his dairy cows kept the corn dry and unfrozen and resulted in fatter cows producing more milk. Improvements were made to the boxy wooden design and in 1893 the first steel silo was exhibited at Chicago’s Columbia Exposition. A small replica of the first silo was dedicated in 1984 and stands today at Lyle Thomas Park in Spring Grove. In 1900, the railroad was extended to Spring Grove affording both passenger travel and freight service to the community along with the expectation of new growth and prosperity. The Village was incorporated on October 6, 1902 and was, by this time, a thriving agricultural community with working farms that concentrated on dairy production. In the early 1900s the downtown area held a bank, three general stores, a meat market, three taverns, a livery stable, a hotel, a barbershop, a blacksmith shop, and a shoe repair shop. Also opened in 1904, was Wieland Dairy, which employed about 20 men and produced two train carloads of milk, butter and cottage cheese per day destined for Chicago. It remained in Spring Grove until the mid-1920s, when it moved to Chicago and eventually became Borden Dairy. A State Fish Hatchery was established in 1915 and was in continual operation until recently. 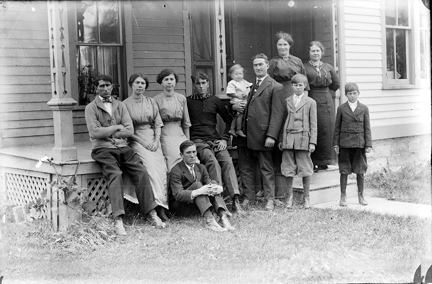 From 1910 to 1940 the Village’s population held steady at about 200 people. In the late 1960s the train station was closed and many old downtown businesses went out of business with the exception of the corner general store and tavern which are both still in business today. The population started to increase in 1960 when Intermatic, once known as International Register Company, moved its production plant from Chicago to Spring Grove. International Register manufactured the coin-meter in the 1930s which collected daily payments (typically 25 cents) during the Depression to cover the purchase price of refrigerators, washing machines and dryers. The coin-meter provided an introduction to clock actuated devices from which its present business is derived. Foremost among their products are Malibu outdoor lighting and electronic timers. They now employ over 1000 people. Spring Grove’s growth was set in motion as more industry came to the area and subdivisions started to be platted on the rolling green acres of rich farmland. Residents enjoy the rural feel of the one-acre per lot neighborhoods and move to Spring Grove for the beautiful countryside and small-town way of life. Now a once-again thriving Village of over 5,000 people, Spring Grove looks to the future with optimism, exploring new ways of developing traditional neighborhoods, building new parks and other recreation areas, and welcoming new stores and businesses while retaining the traditions and small-town friendliness of the past. In 2002, the Village published a 137 page, hardcover book entitled “Village of Spring Grove – Centennial History 1902-2002.” It is available for purchase for $34.95. Free booklets for self-guided tours for several Spring Grove cemeteries are available at the Municipal Center. We are looking for help in identifying this family. We received the photo from Mike Fraser whose grandfather Michael Joseph Retterath was the photographer. It dates from around 1905 and was taken in the Spring Grove area.